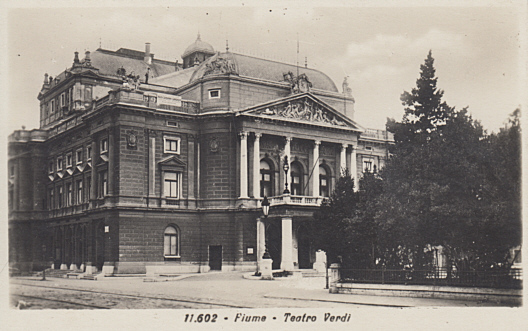 Built 1883-1885 as "Stadttheater" (later: "Teatro Verdi") for the city of Fiume by Ferdinand Fellner & Hermann Helmer. 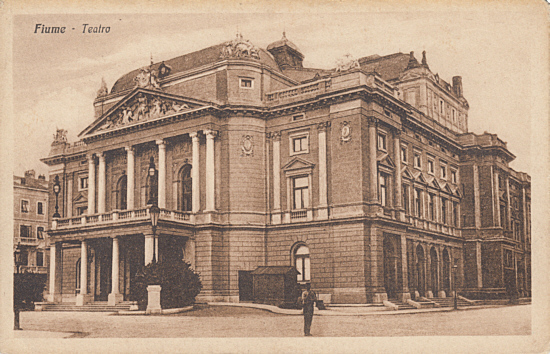 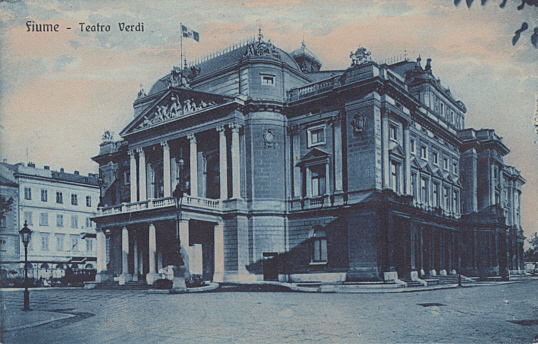 Opened 5 October 1885 with Verdi's "Aida". 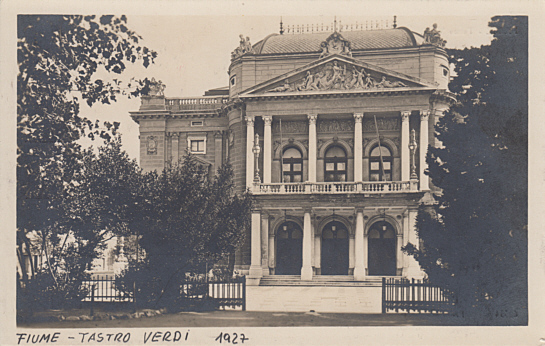 Later renamed "Teatro Verdi". 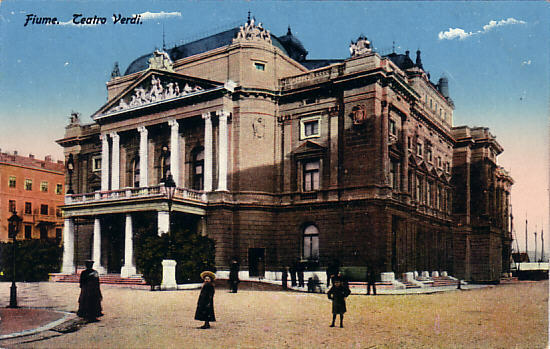 Later renamed in honour of the Croatian composer, Ivan Zajc (1832-1914) whose statue is located in front of the theatre. 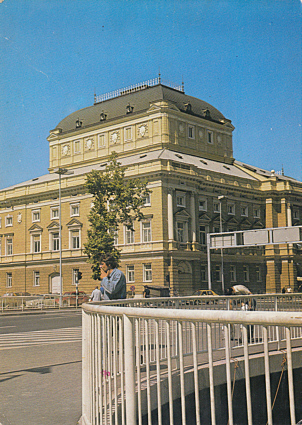 1981 renovation and alterations. 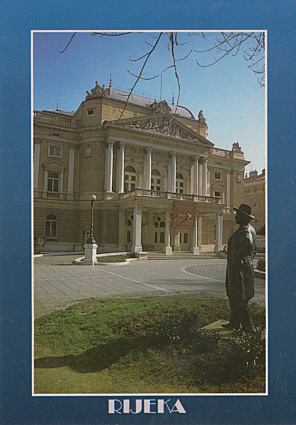 1240 seats. 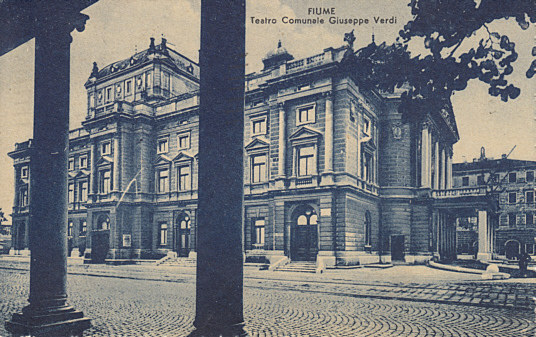 Front Text: "Fiume - Teatro Verdi"
Front Text: "Fiume, Teatro Comunale Giuseppe Verdi"
Front Text: "Fiume - Teatro"
Reverse Text: "Fiume - Teatro Verdi"